The Royal Ascot Tennis Club Car Park is open for parking cars at £25.00 per day, and Mini Buses (16 Seat Max) for £45.00 per day. BOTH MUST BE BOOKED ONLINE IN ADVANCE BELOW. We are the closest Private Parking to the Racecourse. Situated behind the Fire Station (same Entrance) at the top of Ascot High Street, just 3 Mins walk from the Grandstand. We have Toilets in our Clubhouse, for car park customers, should you need them. You are also welcome to picnic on our grounds, but we cannot offer picnic space to all guests, so arrive early if want to find a space on grounds to picnic. Please book your spaces using either the Car, or Mini Bus forms below. The parking is managed by www.Dress-2-Impress.com. Telephone: 07958 950303 if require more information. 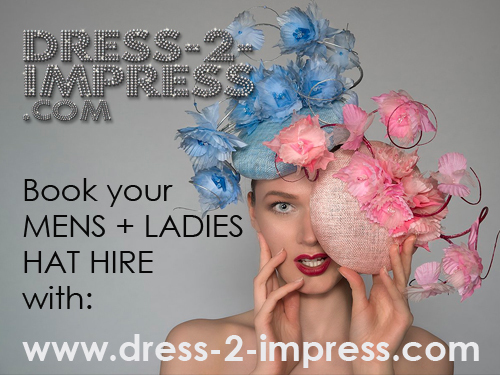 If you require Hats for Royal Ascot 2019, then www.Dress-2-Impress.com are Hiring Hats each day from the Royal Ascot Tennis Club, with both Ladies Hats and Headpieces, and Mens Top Hats. Hats can be viewed and booked online at www.Dress-2-Impress.com, collected from the Tennis Club when you park, and returned before you leave. Car Parking is available at £25.00 per Car (Max 6 Seater) Per Day. Passes will be sent Royal Mail Signed for, along with directions. If booking within 7 working days of the races, your pass will be sent by Email. Please be sure to enter your correct Mailing and Email addresses on booking form. We also have a limited number of spaces available for 7-16 seater people carriers and Mini Buses. These spaces are £45.00 per day and limited to just 5 per day, so early booking is very advisable for these spaces. Passes will be sent Royal Mail Signed for, along with directions. If booking within 7 days of the races, your Pass will be sent by Email. Please be sure to enter your correct mailing and email addresses on booking. Ladies and Mens Hat Hire. Book Online. Collect at the Tennis Club.